A King’s Academy’s education is defined by a comprehensive focus on our students' development in every sense: intellectual, personal, physical, social and ethical. Following our five Guiding Principles — respect, a love of learning, responsibility, the need for an integrated life and global citizenship — the goal of education at King’s Academy is to ensure that students emerge with the knowledge and skills that will allow them not merely to gain admission to the most selective colleges and universities in the world, but more importantly to develop their full potential as human beings. 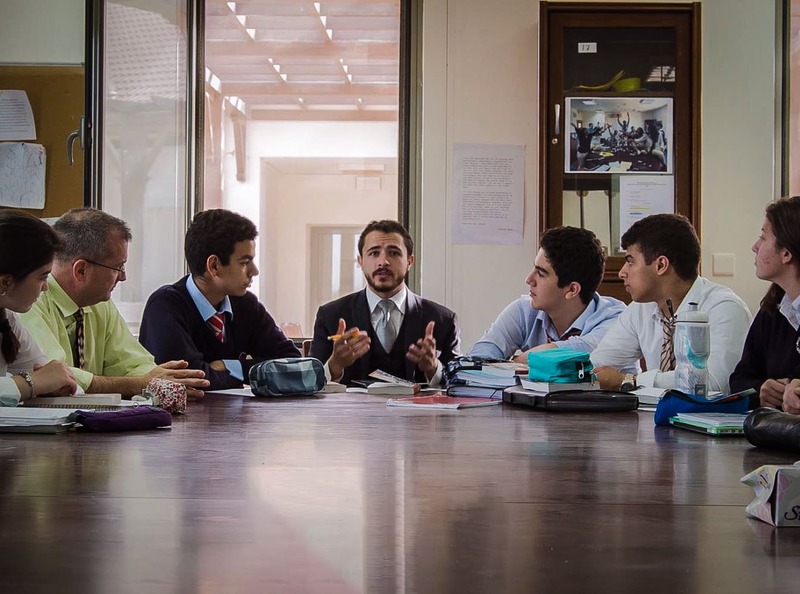 At King's Academy, we stress canonical approaches to the acquisition of understanding, as well as less traditional means, such as collaborative small group work, individual research, and a "portfolio" approach, in which students demonstrate their understanding through projects and activities, not just through exams. Each term, students take seven or eight courses, most meeting for 45 minutes a day. During their junior and senior years, students will have the option of taking a number of advanced or interdisciplinary elective courses.